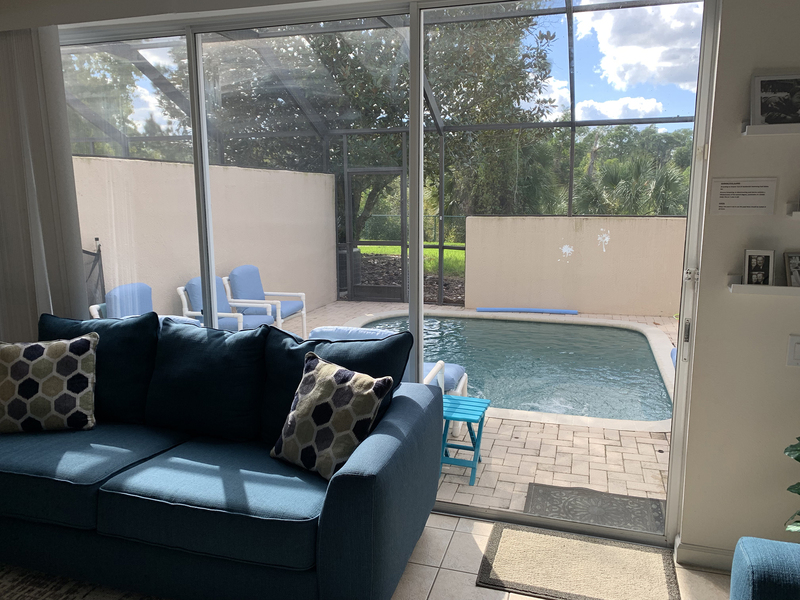 Imagine staying in a beautifully furnished home with your own private swimming pool on an exclusive resort just a few miles from Walt Disney World main gate. 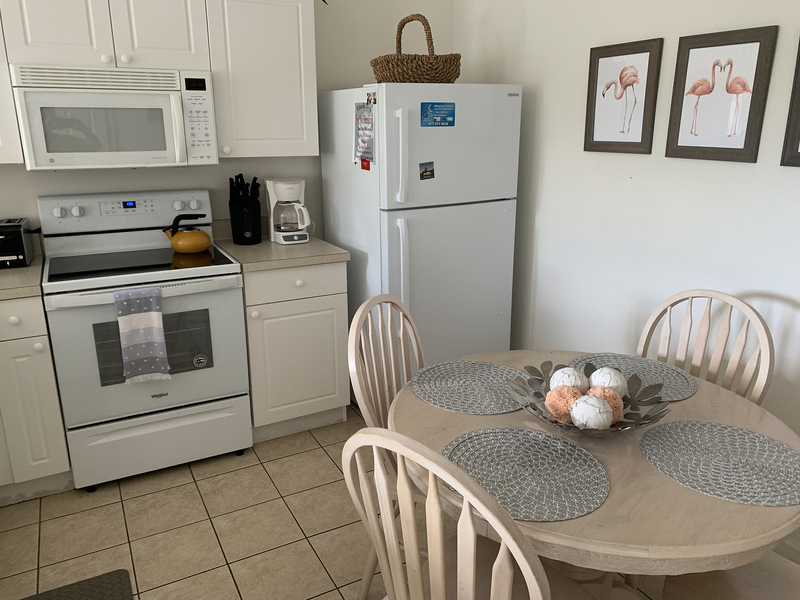 Our guests have found the combination of our beautiful townhouse, great location, and resort facilities make them want to return again and again. The House by the Mouse is part of a brand new exclusive gated community offering its guests free use of Windsor Palms Resort. • Three bedrooms ALL with ensuite bathrooms. • Sleeps 6 or 8 with queen size sofa bed in living room. • Fully equipped kitchen including dishwasher. • Private splash pool which is walled both sides for privacy and overlooks a conservation area. • Fully air conditioned with ceilings fans in the living room and all bedrooms for added comfort. • TVs in every bedroom and Living room. • PS2 with games, DVDs, books and classic games.